"I wish my concerts to bring more peace, harmony and a sense of belonging." "Playing for people, bringing joy ... My dream has come true." "Life in the performing arts is a creative, never-ending journey ... I try to persevere." While still a student he was awarded several prizes in guitar contests. He won the first prize in the national guitar competition in Kutná Hora with a special jury award for the interpretation of Baroque music. 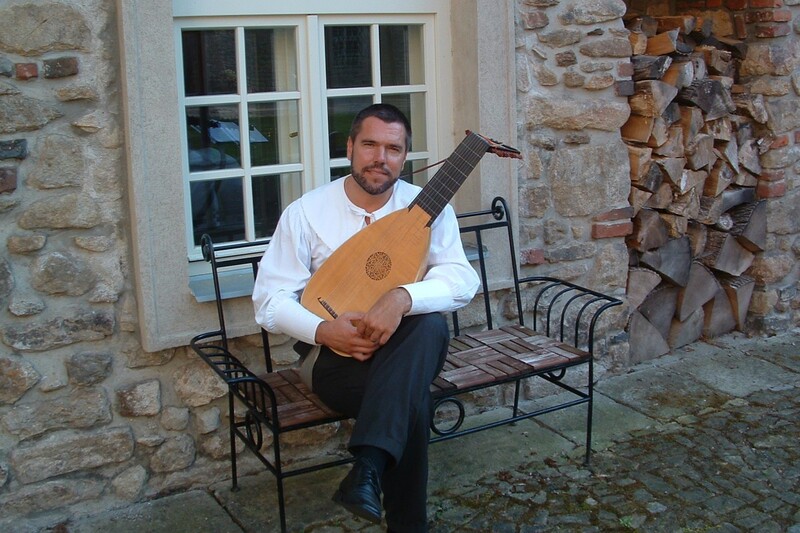 He graduated in guitar under Prof. Stanislav Juřica from the Conservatory of Pardubice in 1993. 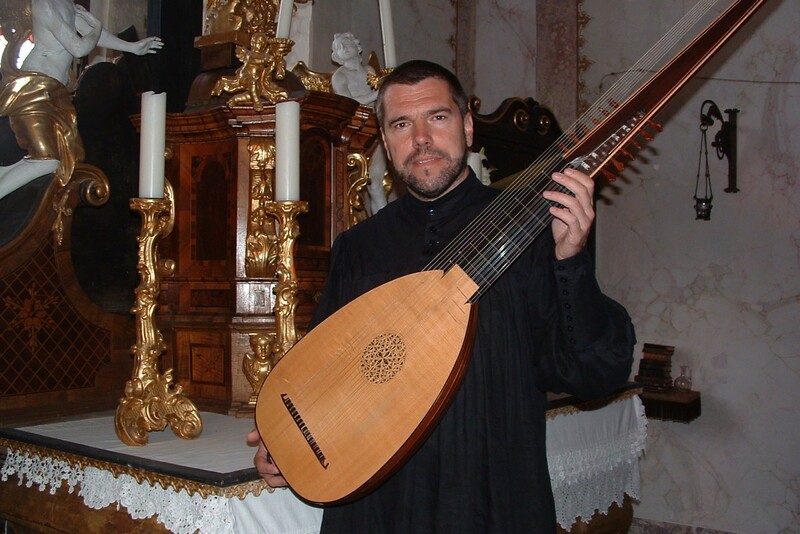 He continued in the same class with the study of the lute and finished his studies by giving a graduate’s concert in Hradec Králové in June 1999. 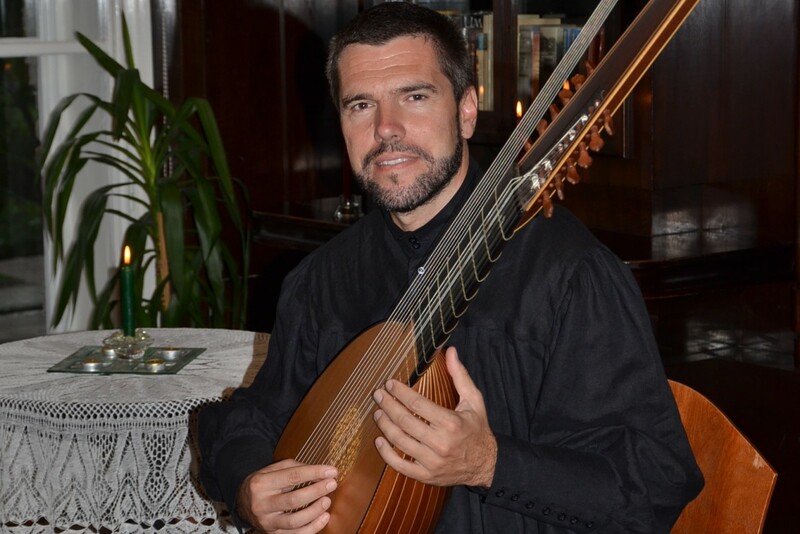 He is historically the first lute graduate from the Academy of Early Music at the Philosophical Faculty of Masaryk University in Brno from Miloslav Študent’s class (2005). He currently works as director of the Art and Music School in Havlíčkův Brod. 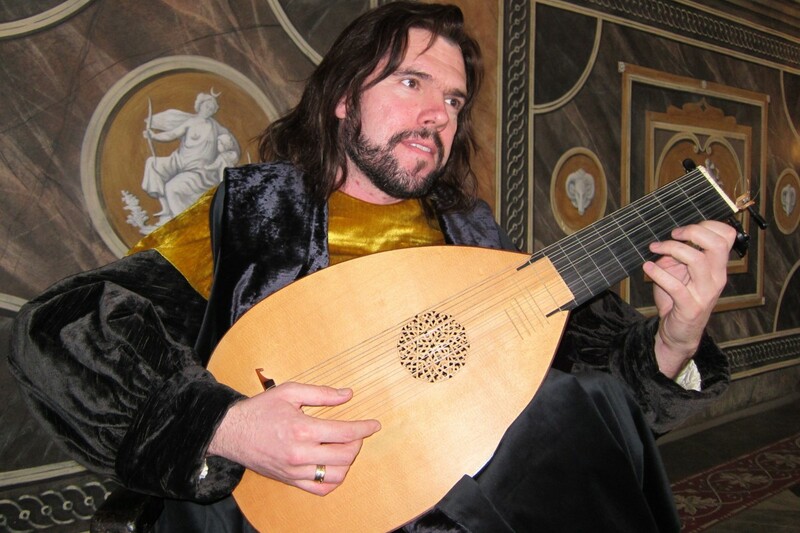 He gives solo concerts and participates as a lutenist in various chamber ensembles. 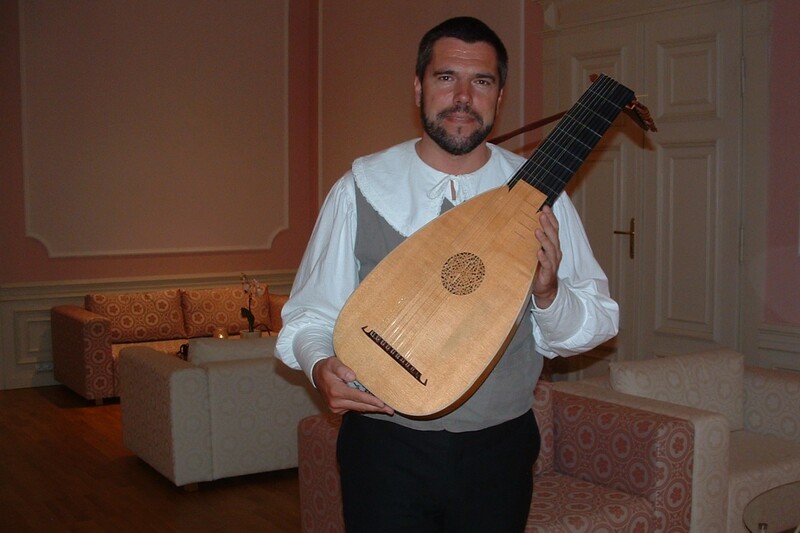 When interpreting Renaissance and Baroque songs accompanied by the lute, he cooperates with the mezzo-soprano Pavla Fendrichová, with whom he has rehearsed, and offers four full-evening concert programmes - ‘Love Songs’, ‘Songs of patience’, ‘Moravian Folk Poetry in Songs’, ‘What came to pass that night’. He has also performed in a vocal-instrumental duo with the sopranos Helena Pellarová, Anna Hamadová (SK), Eva Rukavičková and Jana Nováková. 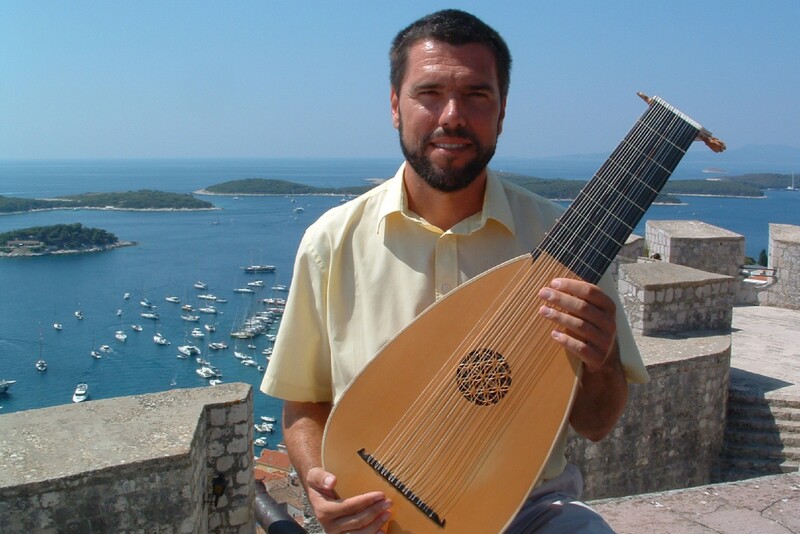 Occasionally, he gives a guest performance with Musica Fresca of Prague or the mixed ensemble Moravští Madrigalisté. 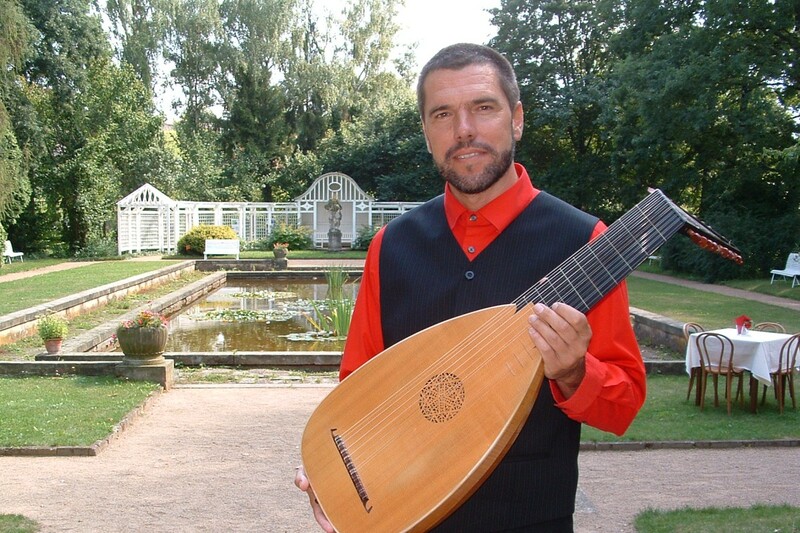 He organizes educative concerts called ‘The lute presents itself’ for schoolchildren and students. 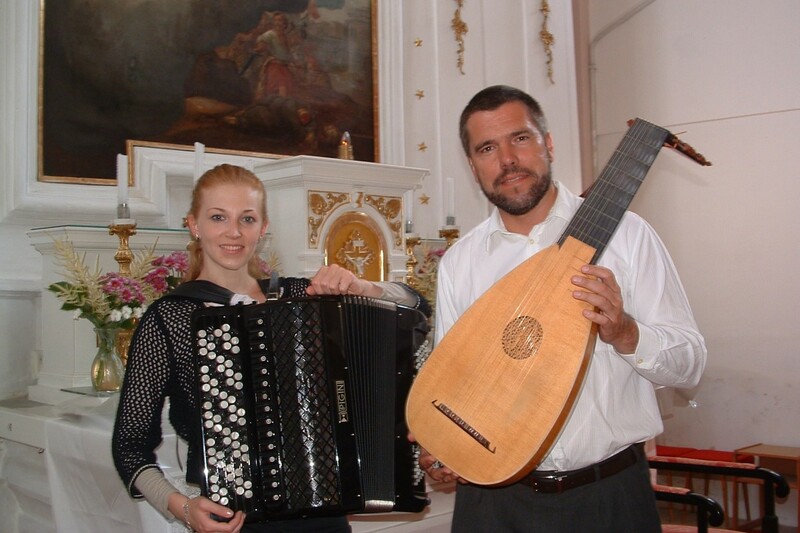 Together with the guitarist Iveta Novotná he has created a programme called ‘Strings through the ages’. 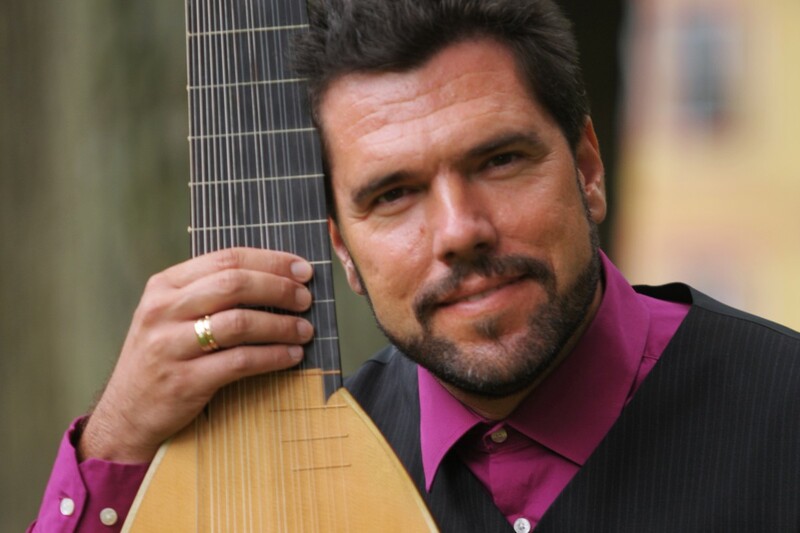 In an impressive fusion of lute and spoken word he performs in ‘Alchemy of Love’ with Mr. Alfred Strejček. In sensitive instrumentations of the project ‘Wandering through the Landscape of Music’ and ‘Flauto dolce’ he plays with the flutist Silvie Mechová. He has prepared the programmes ‘Touches of Strings and the Magic of Bellows’, ‘La Brise de France’, ‘In Patches’, ‘An angel is sent by God...’, ‘Renaissance touches’, ‘Close your eyes and listen’ and ‘Flos Florum’ with the accordionist with the accordionist Jitka Baštová. 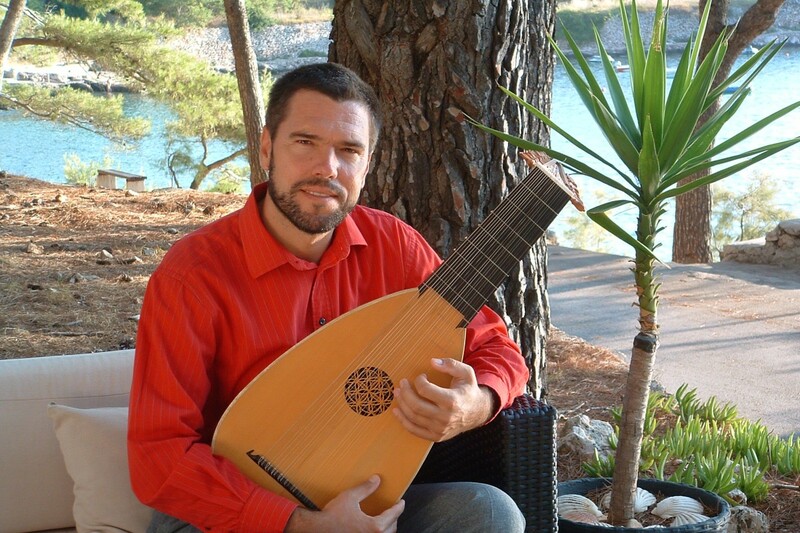 He has taken an active part in senior courses in the guitar festivals in Mikulov (in the classes of, for example, P.Steidl, L. Witoszynský and J. Wagner), in Valtice (in the English lutenist B. Wright’s class) and in Slovenia (under the guidance of A. Kröper). 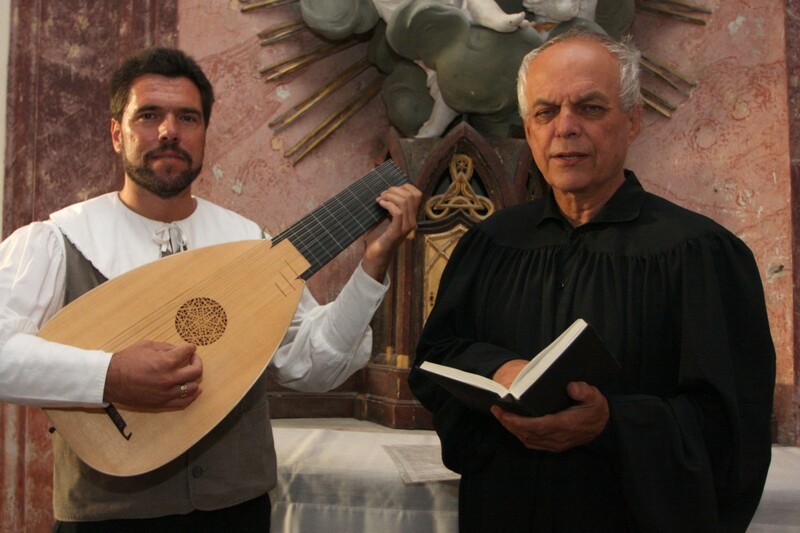 He has also gained valuable experience at an interpretation course under the Japanese lutenist S. Noiri. 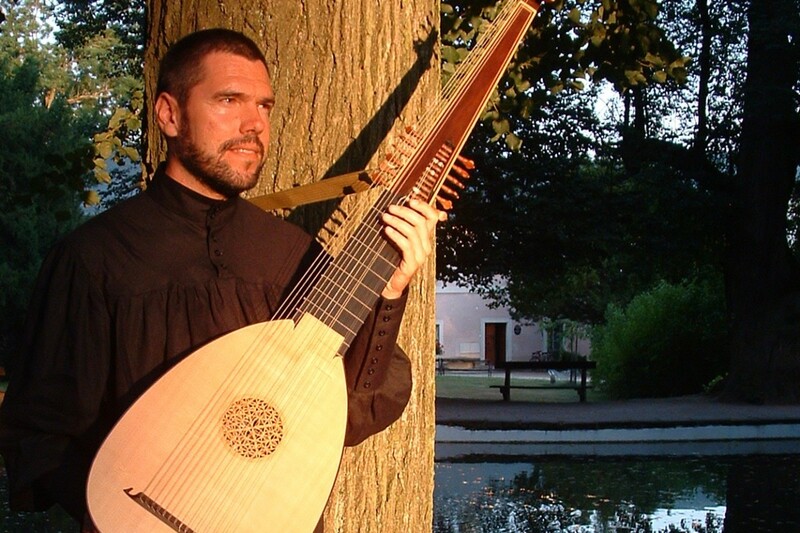 He has participated in the creation of audio recordings of ‘The Landscape of Singing’ (children's choir, lute), multimedia CDs by Fenomen multimedia, a.s. (1999-2005) and CD recordings ‘Lute Reflections’ (2005). His mastery has been appreciated by Italian, German, Swiss, Finnish, Slovak, Hungarian, Polish, Slovenian, Croatian, Luxembourg, Dutch and American audiences. He performs at music festivals in the Czech Republic and abroad. Let us mention, for example, the Festival of Sacred Music, Česká Lípa 2004, Ars Antiqua Europae 2004, the International Summer School of Early Music, Valtice 2005, Ars Antiqua Europae 2005, Pražské brány 2007, Kampanila 2008, the Haydn Music Festival 2008, Hofer Konzerte 2010, Hofer Konzerte 2011, Ars Antiqua Europae in Via Gothica 2011, Veselská ozvěna 2013 and Na dvanácti strunách 2015.